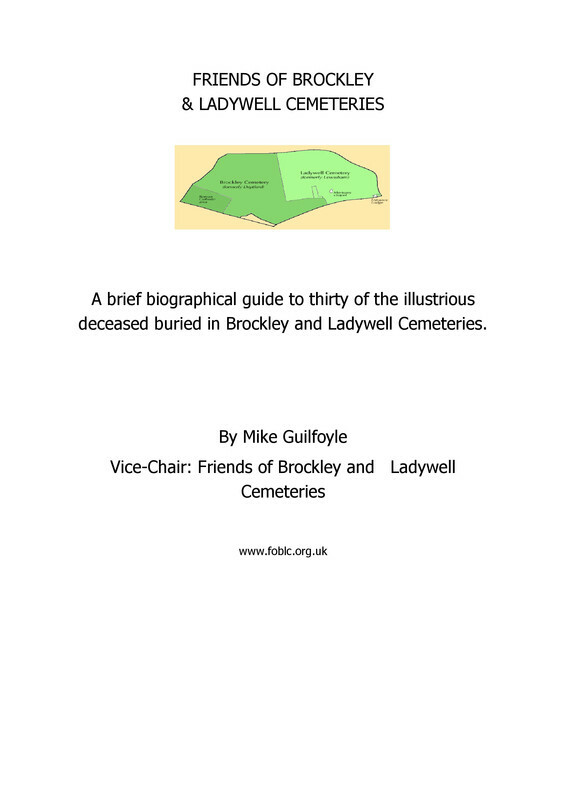 The FOBLC is a voluntary group which promotes the conservation and appreciation of the Brockley & Ladywell cemeteries as places of remembrance, historic importance & natural beauty. During the recent volunteer work day clearing up invasive saplings, two FOBLC members, David Platt and Michael Martin, who both have a deep interest in the Great War and the graves of the soldiers who fought in it, literally stumbled upon a grave covered in ivy. Leslie Earnest Andrews joined the Queen’s Royal West Surrey Regiment, probably in June 1915 when the 10th Battalion was formed as a response to Lord Kitchener’s appeal for volunteers. Leslie had been a private in the Officer train Corps, and joined the Royal West Surrey’s as a 2nd Lieutenant. The 10th (service) Battalion was formed at Battersea on 3 June 1915 by the Mayor and Borough of Battersea. It was attached to the 124th Brigade, 41st Division, which was formed in September 1915, and was part of the Fifth New Army, K5. Most of its units had also been locally raised, often by the Mayor or Borough Councils. The Division moved to France by 6th May 1916 and became a highly dependable fighting unit. All units were concentrated near Steenwerck, and the Division began familiarisation with trench warfare in the areas of Ploegsteert and the Douve valley, south of Ypres, Belgium, where it remained until August 1916. The Division then moved south to take part in the latter stages of the Battle of the Somme. The Division was involved in the first ever attack with tanks on 15 September (the Battles of Flers-Courcelette). The Division remained in the line, pushing on to Courcelette over the next few days before coming out for a rest and re-fit. They went back into the line in October 1916 taking part in the Battles of Le Transloy and Ancre Heights fighting in terrible weather in an attempt to reach higher and drier ground. Leslie Andrews was promoted to Captain at some point between June 1916 and May 1917. He would have been in command of a Company, which would have consisted of 225 heads at full establishment. The body of the Company was divided into 4 Platoons, each of which was commanded by a subaltern (a Lieutenant or Second Lieutenant). In total, the 4 Platoons consisted of 8 Sergeants, 10 Corporals, 4 Drummers, 4 Batmen and 188 Privates, plus Company HQ. He would have been aged 22 years old. Some time between May and June 1917 he was awarded the Military Cross (MC). Instituted in 1914, the Military Cross was issued for gallantry in presence of the enemy to warrant and junior officers of the Army. On 7 June 1917 the 41st Division was involved in the Battle of Messines. The target of the offensive was a ridge running north from Messines village past Wytschaete village which created a natural stronghold southeast of Ypres. One of the key features of the battle was the detonation of 19 mines immediately prior to the infantry assault, a tactic which disrupted German defences and allowed the advancing troops to secure their objectives in rapid fashion. The attack was also a prelude to the much larger Third Battle of Ypres, known as Passchendaele, which began on 31 July 1917. Passchendaele lasted from 31st July to 6th November 1917. At some point during this time Leslie Andrews won a Bar, or second award of, his MC. He was “Gazetted” in September 1917 ( Gazetted means his award was published in the London Gazette, as were all military awards and promotions, and still are). As a result of the above action Leslie Andrews was promoted to acting Major, in command of the 10th Battalion. At full strength this Battalion would have consisted of up to 1000 men. British losses during the period 31st July to 6th November 1917 were reported to the Supreme War Council on 25th February 1918. The figures used at that time were 244,897 killed, wounded, missing and sick. This includes casualties of German air raids behind the fighting zone. German casualties have never been reported in detail. The British Official History speculates that enemy losses were about 400,000. Major Leslie Andrews was killed in action on 20th September 1917 aged 24, on the Menin Road. He has no known grave. His name is recorded on the Tyne Cot Memorial to the Missing, which is located on the battlefield and which bears the names of some 35,000 of those who died and who have no known grave. Talk : Sir Alexander Nisbet MD ( 1795-1874) Naval Surgeon/Physician to Queen Victoria. FONC Open Day Saturday 18th May. The burial records of the Cemeteries in Lewisham, including Brockley and Ladywell, have been scanned and digitised under an arrangement between the London Borough of Lewisham and Deceased Online. Initial basic searches are free of charge. Log on to www.deceasedonline.com for more details. FROM BROCKLEY TO BOOT HILL : APACHE CHIEF GERONIMO AND THE KILLING OF EDWARD WENTWORTH LYON. 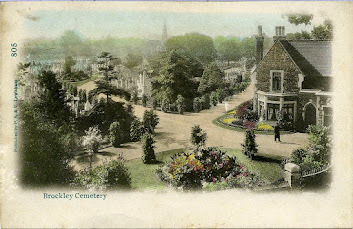 Entrance for cars in via Ladywell Cemetery, parking available on site in Brockley Cemetery. Nearest Station Crofton Park about 5 mins walk. The buses convenient for the Brockley Cemetery are: 122, 171, 172; Ladywell Cemetery: P4 (and 122 with a short walk up Ladywell Road). Toilet and Chapel facilities are in Ladywell Cemetery, which is adjacent to the Brockley site.